I’ll be sad to see this go. I was enjoying the characters quite a bit. Also, needed more Cody. For a Slenderman campaign there really wasn’t much Slenderman in there. Seemed to be a nice Hunter game though. Worth listening to. From what I heard on the podcast I feared worse. 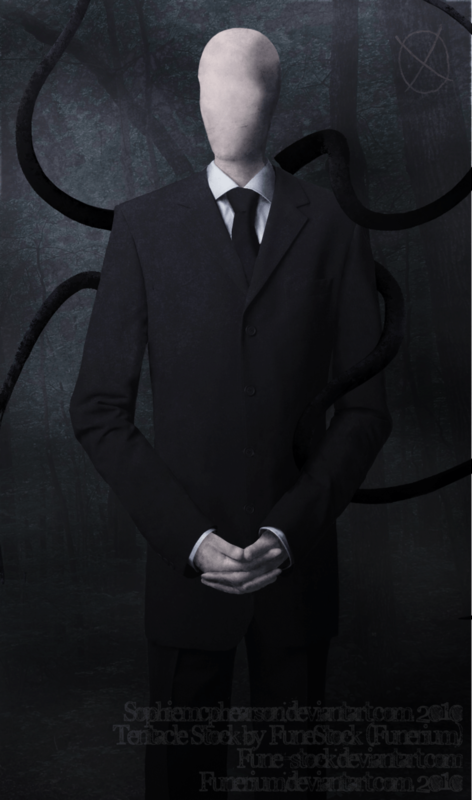 When I did a Cthulhu game using Slenderman I used the pictures from the SomethingAwful thread as handouts the characters could follow and made him the central opponent. I think you did a good job with your games. I see nothing wrong with mixing different supernatural types in one city. Hell, in Hunter you’re MENT to deal with all the other splats sooner or later because as a hunter you’re at the forefront of the vigil and actively seeking out the supernatural, while in other splats you have more than enough to deal with to go stepping on other people’s toes. The story works better if each of the families has its own supernatural “Curse” of some kind. If you were to do the last two families, one family should be a Mage Family, but one of the left-handed legacies (Maybe Tremere Lich, as soul-eaters are immortal so long as they eat a soul once a month). The final family could be some kind of Spirit-Claimed (As they can get Longevity from their spirit-possession). The concept of different supernaturals works just fine for a hunter game so don’t be so critical Ross on your performance. Great mini-campaign guys! Just one question: what is the whole “Oh, no way!” bit from? I have scoured the interwebs to no avail. Ahhhhhhh. That would be why I couldn’t find it. Thanks Ross!